Apologies, but this is just another shameless post of pure self-promotion. The lack of other interesting tid-bits can only be blamed on me being otherwise engaged in some serious sewing for the market madness that I have roped myself into over the next couple of months. 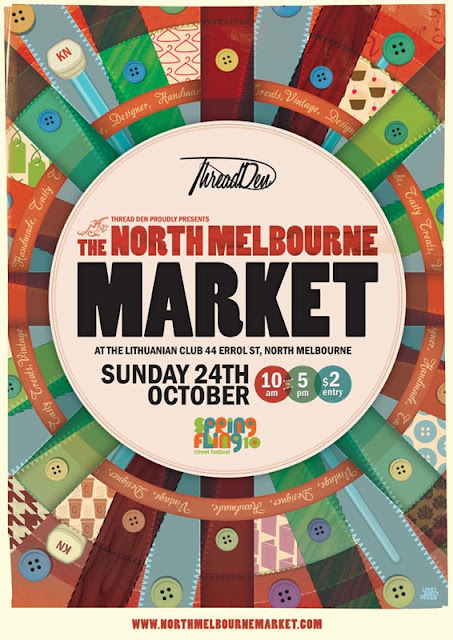 Next weekend I am taking part in my first North Melbourne Market, run by the fabulous team at Thread Den (a genius little concept that is well worth checking out if you aren't already all over it). This market's a little bit extra-special because it's being held in conjunction with the Errol Street Spring Fling. From what I've seen of the weather forecast, Melbourne might even remember it's Spring by then, so fingers crossed it should be a nice day to wander down to North Melbourne and partake in the festivities. 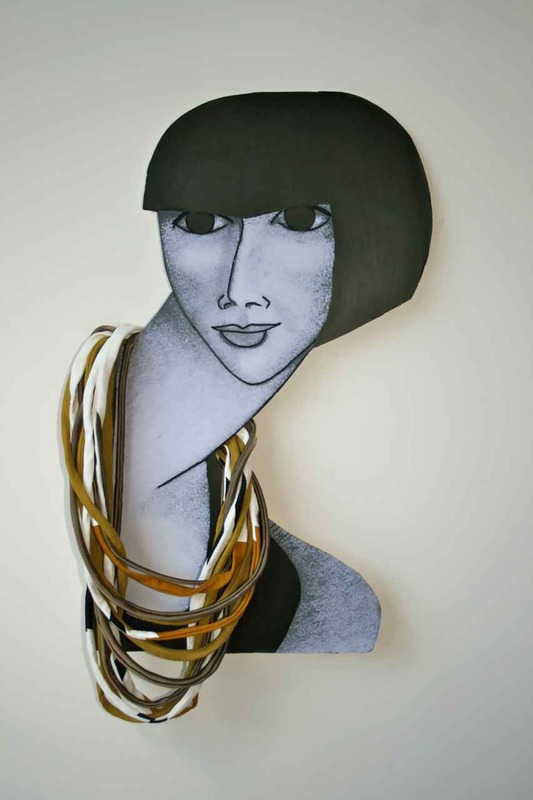 The market is being held from 10am to 5pm, inside the Lithuanian Club, which is about halfway down Errol Street between Victoria Street and Queensberry Street. Here's a link to a good little map including public transport options. You'll find me upstairs in the room at the front of the building. Despite the freezing temperatures that Melbourne has plunged back into, accompanying by a lot of rain, I'm getting into the spring swing with lots of bright new pieces. I'm feeling very inpsired by greeny yellows, mustards, greens and maybe even a little pink and purple in honour of the blooms that started appearing when the temperature did briefly rise in the last couple of weeks. In fact, there's a big pile of bright yellow fabric tubes sitting in front of me now calling my name.